Recognized by LEADERSHIP Philadelphia as one of 55 Top Connectors and Keepers in the city, Britney Elayne Norman is a marketing professional with significant expertise in the gaming, radio and nonprofit industries. She specializes in managing large-scale events and is a brand and marketing consultant for local business leaders within Philadelphia. As the Events & Promotions Manager for SugarHouse, Philadelphia’s first and only casino, Britney manages relationships and execute sponsor partnerships with: The Philadelphia Flyers; Philadelphia 76ers; PHL17 Mummers Parade; Liberty USO; Philadelphia Auto Show; OutFest Philadelphia and a host of community and nonprofit organizations. Prior to SugarHouse Casino, Britney worked at Radio One Philadelphia as an Account Executive, responsible for customizing creative marketing solutions for local businesses. Britney is a social entrepreneur and civic leader. She is the Executive Vice President and COO of Influencing Action Movement (IAM), an organization that carries out its mission through networking, community service and mentoring for youth and young professionals. 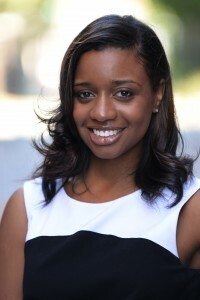 She is Membership Chair for NExT Philadelphia of the Urban League and now serves on the Forbes Under 30 Summit’s service committee where she assists in the planning of Philly Impact Day- the culminating event of the annual conference for those on the 2015 Forbes Under 30 List. She is also a board member of PHL Diversity, a division of the Philadelphia Convention and Visitors Bureau where she serves on the Innovation and Education committees. Britney received a bachelor’s degree in Telecommunications Management, with a minor in Business Administration from Howard University, and is a graduate of the Philadelphia High School for Girls.